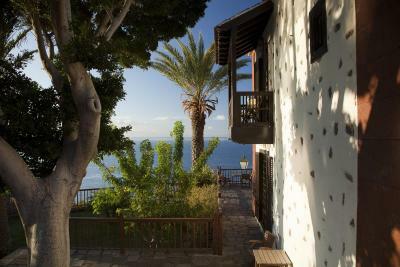 Lock in a great price for Parador de La Gomera – rated 8.6 by recent guests! The room had a fantastic view and was generally comfortable. The grounds around the parador were well tended and very beautiful. The food in the restaurant was very good indeed. And the staff were exceptionally friendly and helpful. Perfect location, friendly and efficient staff, historic building, large rooms. The building and rooms are beautiful. As are the courtyards and gardens. We didn't have a meal in the evening but the breakfast was wonderful and the breakfast staff were very efficient and friendly. On the cliff top with beautiful views over San Sebastian and the sea. We had a sea view room which is lovely and you can watch the ferries come and go from the high vantage point. Very quiet location with a lovely relaxing ambience. This is less of a family hotel and more for couples. All fairly good although the hotel needs a makeover. Bar personnel were extremely helpful and attentive. Thanks to Ivan in the bar for making our stay enjoyable. The garden area and quadrangle area were shaded and ideal for reading. The old worlde feel was apparent but the facilities needs to be modernised. For example: what is the purpose of having a TV room rather than a gym? No Uk channels on television either. Excellent location with beautiful gardens and sunrise views. Very confortable and restful. Parador de La Gomera This rating is a reflection of how the property compares to the industry standard when it comes to price, facilities and services available. It's based on a self-evaluation by the property. Use this rating to help choose your stay! 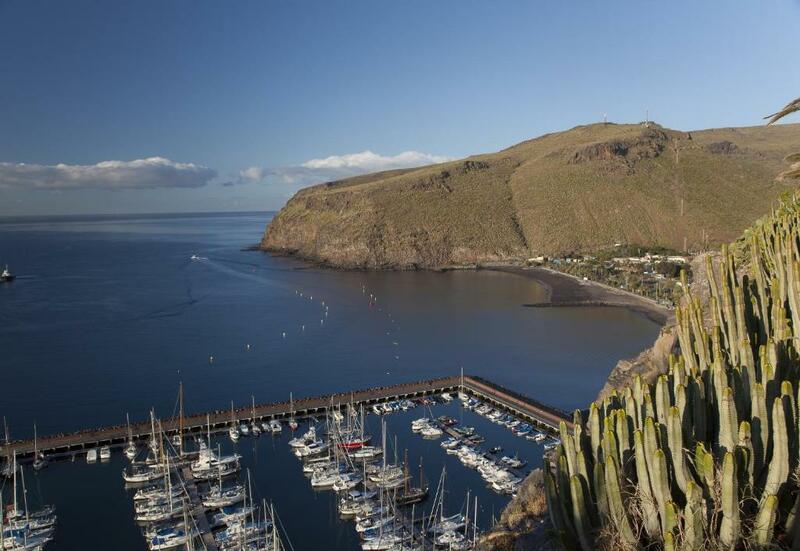 On the pretty Canarian island of La Gomera, with views of the town and the nearby island of Tenerife, this stunning Parador hotel is set on the hilltop, surrounded by beautiful tropical gardens. Go swimming in the outdoor pool, overlooking the Atlantic Ocean, and with great views of Tenerife. There are lounge chairs around the pool, where you can lie back and soak up the sun. 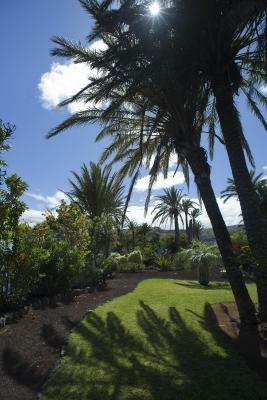 Stroll around the tropical gardens at any time of the day, to enjoy the peacefulness of the Parador de la Gomera. You can also go on a day trip to the natural reserve in the center of the island. The interior of the Parador de la Gomera is spacious and has plenty of natural light. You can also admire the mixture of Castilian-style and Elizabethan decor. 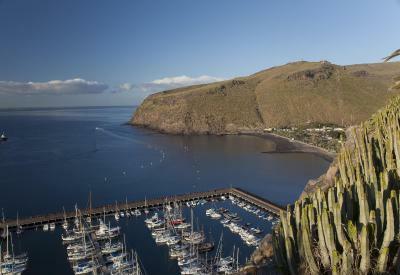 When would you like to stay at Parador de La Gomera? This air-conditioned room includes a balcony, TV and a private bathroom. Built in the island architectural style, the hotel is decorated as if it were a keepsake of the age of Columbus, when ships departed the island bound for the Americas. 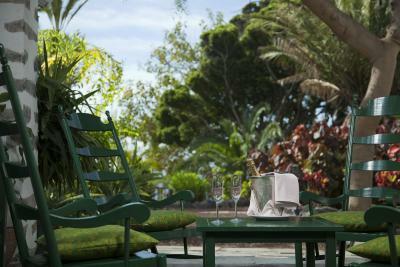 The Parador de la Gomera offers comfortable guest rooms, a swimming pool and a lush garden with subtropical plants. It will be your little paradise. House Rules Parador de La Gomera takes special requests – add in the next step! Parador de La Gomera accepts these cards and reserves the right to temporarily hold an amount prior to arrival. Girl who checked us in was a bit grumpy and non communicative. I enjoyed watching the ferries come and go, but you can hear the engine noise. I am very sensitive to noise at night and to be honest it did not bother me. Hotel is dated and tired overall. Holes in the corridor floors underfoot were covered by a rug. Window shutters unsecured, window locks in a state of disrepair in a room advertised as a superior room. Pool not heated and very uncomfortable loungers with only one small towel provided per person. Breakfast was overpriced at €18 per person and extremely disappointing in choice and quality. Restaurant menu choices were also poor. Such a shame as the potential to update and improve customer service is tangible. We wanted to eat breakfast outside in the sun but were told we couldn’t. The parakeets in the garden were in a cage which was far too small for them and didn’t give them room to fly. A lovely hotel with interesting spaces and gardens. The room was pleasantly furniyand a good size. A stay at this hotel is very special, it’s in a truly unique location and the building is quirky and fabulous. It’s utterly private, calm, spacious and a bit precious. The bedroom was extremely large yet comfortable, we had a terrace and a great view of Tenerife. One of the most comfortable beds I’ve slept in. The fact that there was no tea or coffee in the room. The fuse blew twice in the room which was awkward, to say the least. The quantities of products left wasn't generous, though adequate. The staff worked very hard but had too much to cover, so getting a drink in the bar before dinner was very difficult and slow. Sometimes bar servis was a little bit slow, if any.. Very cold water in swimming pool. Food at the hotel is very pricey and very limited options for vegetarians.